Deliveries for the new Ather 450 will commence this month, from September 11, and the first lot of the new 450 scooters are already rolling out of the production line. 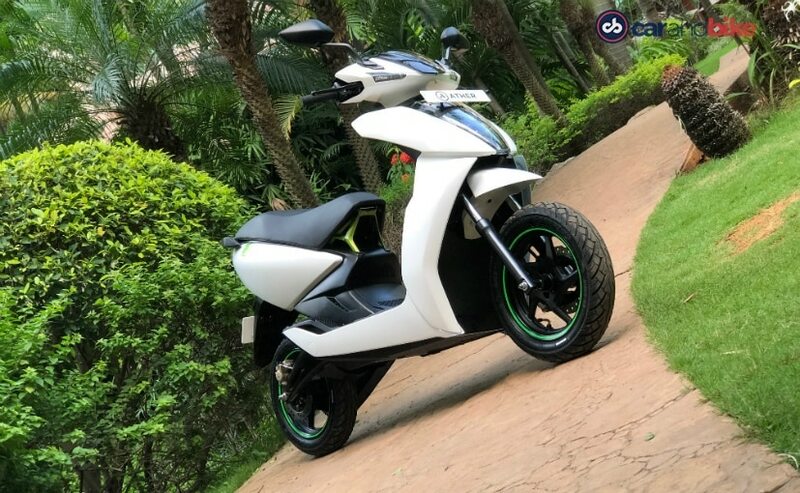 Bengaluru-based Ather Energy has finally announced the delivery date for its all-new electric scooter, Ather 450. The company has confirmed that the deliveries will commence this month, from September 11, and the first lot of the new 450 scooters are already rolling out of the production line. The new Ather 450 is right now the company flagship electric scooter and is priced in India at ₹ 1.24 lakh. The company also offers a lower-spec version, Ather 340, which has been priced in India at ₹ 1.09 lakh (both on-road, Bengaluru). Also Read: Ather Electric Scooters: Should You Consider Buying One? Powering the Ather 450 is a 2.4 kWh lithium-ion battery that comes paired with a BLDC motor which offers peak power of 5.4 kW and continuous power of 3.3 kW with 20.5 Nm of maximum torque. The 450 can accelerate from 0 to 40 kmph in just 3.9 seconds and offers a claimed top speed of 80 kmph. The Ather 450 is offered in two range modes - Economy and Power. In the former, the battery offers a maximum range of 75 km, while in Power mode the range drops to 60 km, on a single charge. The scooter also supports fast charging. The Ather 450 promises to be a practical, fun, and tech-laden electric scooter which has the performance to take on even conventional 110 cc petrol engine scooters. On the features front, the electric scooter also comes with Android-based touchscreen display screen with a custom user interface. The system will also offer features like push navigation, over-the-air updates, parking assist system, waterproof charger, multiple riding modes and LED lights. We have already ridden the Ather 450 and are quite impressed with its features and performance.